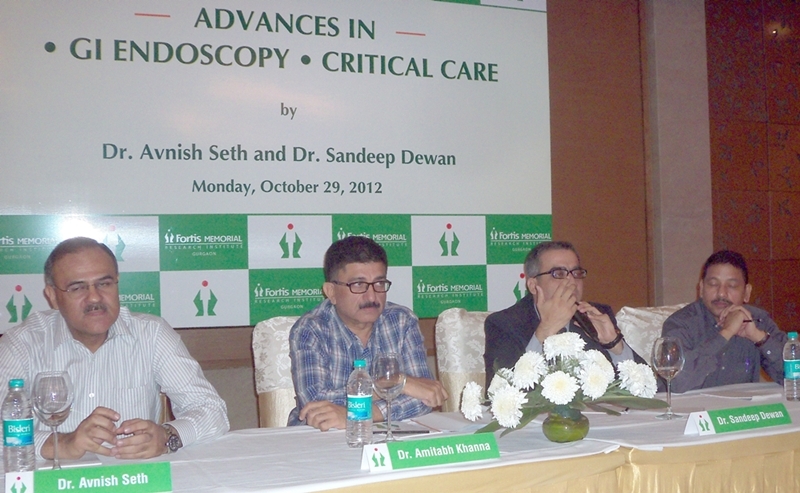 Dwarka Diabetes Association recently held a symposium on Advances in GI Endoscopy and critical care. The symposium was held in association with FORTIS memorial hospital Gurgoan.The speakers were Dr Avinish seth, a renowned gastroenterologist and Dr Sameer Diwan a critical care consultant at fortis hospital. Dr Amitabh Khanna, President Dwarka Diabetes Association was chairperson of the session. Symposium was held at Hotel Radisson Blu Dwarka and around 40 leading consultant of the area attended the meet. It was a very interactive session and lot of new innovations in the feild of G I endoscopy and critical care were discussed. THE AVENGERS-Group Art Exhibition beginning on 16th Sept.